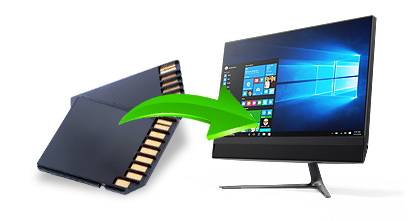 Memory card data recovery software recovers data lost or deleted due to accidental file deletion, virus attack, hardware malfunctioning, human errors or other various data loss reasons from Memory card storage media. 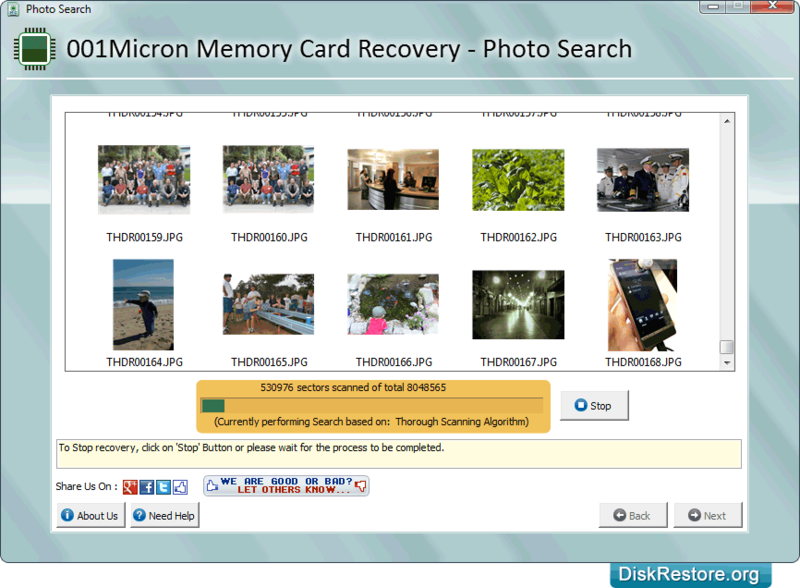 Software recovers data including deleted pictures, word files, photos, images, videos, audio files etc. saved in memory card storage media. 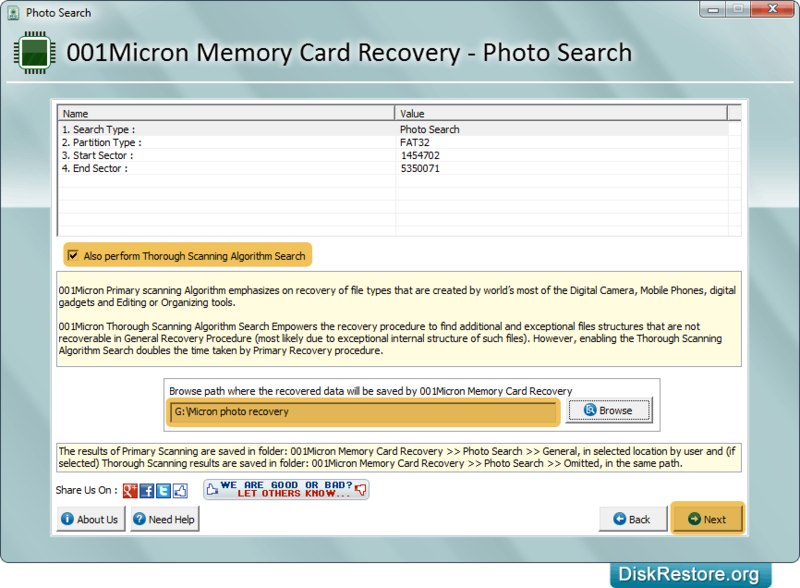 File recovery software is equipped with latest disk scanning techniques to search and locate lost files and folders before you fix or repair flash storage device. Select partition from left panel and click Next button to proceed. Browse path where the recovered data will be saved by software and click Next button to continue. Files searching process (using Thorough Scanning Algorithm) is in progress. 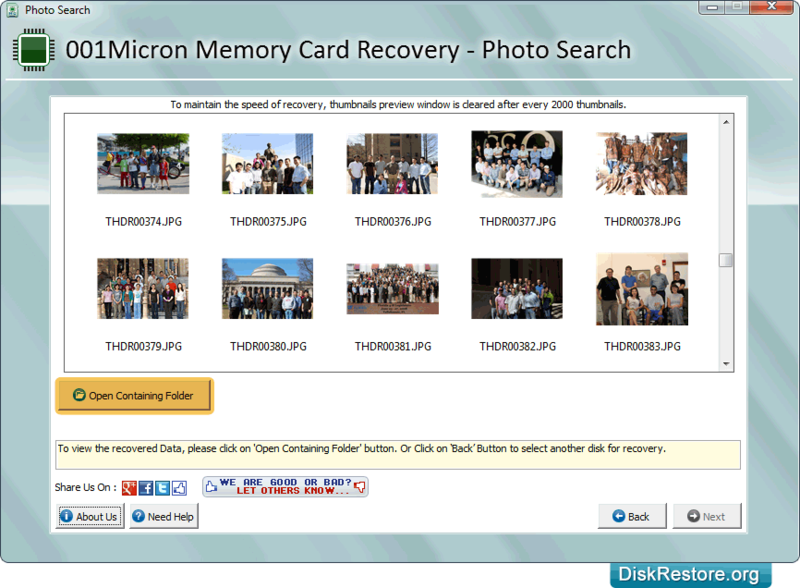 Software supports restoration of data from all major brands of memory cards including Canon, Nikon, Panasonic, Acer, Olympus, Fujifilm, Samsung, Sanyo, Sony and other brands available in 64MB, 128MB, 512MB, 1GB, 2GB and other higher capacity drives. 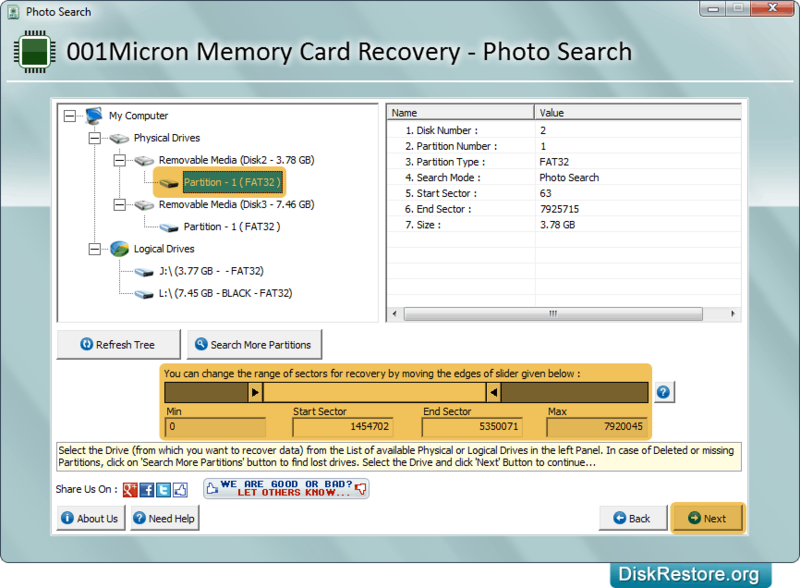 Memory card data recovery software is compatible with Secure digital card, Smart card, Picture card, xD card, Compact flash and other equivalent memory card formats. Recovers data in all major data loss situations ranging from accidental deletion to disk formats. Undelete all deleted files and folders from memory card mass storage media.